My significant other encouraged me to watch this as she had read the book and been moved by it. The film is equally moving - and apparently is a close portrayal of the story on the printed page. The Secret Life of Bees is an invitation - an invitation to wallow in the prejudice of racist South Carolina in the early 1960's against the backdrop of the signing of the Civil Rights Act (1964) by LBJ. It is also an invitation to consider which things are really important in life such as relationships, trust and love. 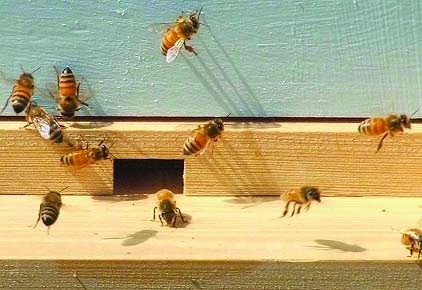 The collective and interdependent world of bees provide the continuing metaphor for humanity which needs to works in harmony if the harvest is to be sweet and bountiful. Two of the significant characters battle with mental illness whilst those around them try to make sense of a world that isn't functioning as it should. There are lots of characters who are hard done by in this film but there are also many who inspire hope for a better future. The way in which the narrative develops finds a resonance in the humanism of Gene Roddenberry (Star Trek) but with a strong recurring central visual image of a Black Madonna, it is ultimately based on Christian truths and hopes. The film maintains a difficult balancing act between tense drama and schmaltzy sentimentalism but it resists the temptation to deliver saccharine-like, or should I say honey-like nostalgia. The central character is Lily who is played with great natural ability by Dakota Fanning who was only 14 when the film was made. (Elder sister of Elle.) There is great support from Jennifer Hudson and also Queen Latifah who anchors the plot and provides the narrative device that ties Lily to to her mother Deborah - a little too conveniently for my liking. Bearing in mind that this is primarily a story about strong emotions - fear, hate and love, there are some wonderful quotations in the film lifted from Sue Monk Kidd's original novel. The film is full of wisdom and sensitive to the frailties of human nature and our innate ability to do great harm to one another. It is also filled with hope of a better tomorrow. August dispenses wisdom and love that challenge the status quo in a manner reminiscent of The Oracle in The Matrix. This is a good film which explores what it means to act on feeling and face up to the consequences. I enjoyed it, wasn't what I was expecting which for me is always a bonus. Get the disc or stream it and prepare to be moved and engaged. I'll give it 8/10.